It is difficult to mention the exact origin of a grape variety but one can refer to this presumption: the origin of a grape variety derives from the country where its growing is most widespread and the oldest. From this point of view, no doubt, the Chasselas is the Swiss grape par excellence. The oldest acts speaking of white wine in the Leman area date from 1202.Traces of Chasselas can be found from the fourteenth century. From 1848, the Fendant became the engine of commercial development of the Valais cellars and was actively promoted. From 1936, the Valais winemakers are fighting to protect this designation coveted by the Vaud and Geneva producers. The Fendant du Valais obtains its appellation d’origine in 1966. Despite the successful rehabilitation of native specialities, the Fendant remains the king of Valais wines. The genetic analysis genetic analysis makes it possible to trace the trail of Chasselas. The genetic engineer José Vouillamoz reveals its origin in a video by Paul Vetter. The constitution of the Domaine du Mont d'Or by François-Eugène Masson, on the south-west slope of the Montorge in 1848 is emblematic of the wine history of the modern Valais. During his visit to Valais in 1847, this Vaud sergeant-major was convinced of the high potential of soils from the Sion region for vine growing. One year later, he acquired his first clots at Pont-de-la-Morge and began a long work of clearing. Extracted stones were used to support terraces. The soil was ploughed, fattened, graded and planted with Chasselas stocks imported from his native Vaud canton. The first years, the vineyard was affected by frost and drought. For irrigation, Masson installed a steam pump that pulled water from the swamp of Pont-de-la-Morge but it was not suitable. Therefore, it was replaced by a bisse that took the water from the little lake of Montorge. Regular water supply increased yields and allowed regular harvests. At the same time, Masson built a dwelling and a cellar cut into the rock, equipped with a press and many barrels. Today, the Domaine du Mont d'Or is an exceptional vineyard. It is reputed to be the precursor of the producers of Grains Nobles and other sweet wines in Valais. In 1883, Jean Gay created his cellar, avenue de la Gare, at Sion. His wine is destined for the Buffet de la Gare of which he is the manager. Jean Gay is helped by his son Maurice who develops a fruit trade. To sell his crops he creates a distillery. When Maurice dies (1948), the company is transformed into Maurice Gay SA. With the development of Sion, the management decides to build new facilities in the heart of the vineyard. So the new Cave Maurice Gay is inaugurated in Chamoson (Ravanay) in 1988. It can hold three million liters. Today, Maurice Gay owns about twenty hectares of vines and collects the harvest of four hundred winegrowers. The Cave St-Pierre has been present since 1971 in the heart of the largest vineyard in Valais, that of Chamoson. It has always produced quality wines. It receives grapes from 800 suppliers who establish a long-term relationship with its director, Emmanuel Carron. The choice of varietals or the form of production is made with the winery, in match with the soil, the climate and the altitude. The Fendant RÉSERVE DES ADMINISTRATEURS is produced in our winery under those conditions. The premises in the heart of Ravanay, one of the most famous Chamoson terroirs, are equipped with top facilities. Founded in 1961, Cave St Georges expresses the richness of the Valais grape varieties. When he founded his winery, Georges Clavien knows his name is already renowned in the Valais wine circle. For the sign of his new trade, he chooses his christian name so to avoid confusion. 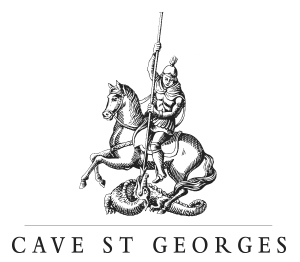 Then Saint Georges’ dragon becomes the symbol of the company. 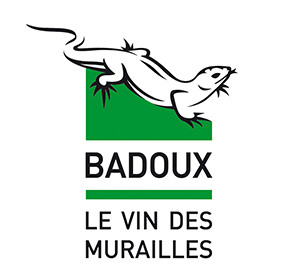 Badoux Vins is a companie more than 100 years old, known for its emblematic wine the Aigle les Murailles. Since 2008 it has expanded its range by offering a collection of Valais wines collection of Valais wines. In collaboration with Cave St-Pierre, the director and oenologist of Badoux Vins, Daniel Dufaux carefully selects the vats and ensures the monitoring of the winemaking to offer quality wines. More than Fendant, the key wine of Valais, Badoux Vins has in its Valais range eight wines made of grape varieties with great aromatic richness.